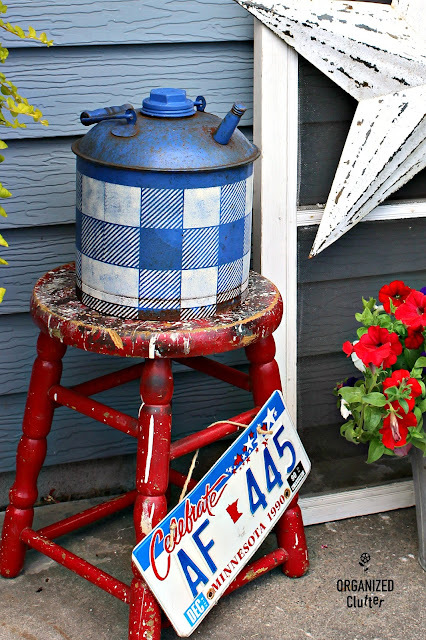 My only 4th of July blog post for 2017 begins with this vintage blue gas can. I pulled it out of my shed. It was originally purchased at a rummage sale for $1. With my success stenciling a buffalo check pattern on a vintage minnow pail planter, I decided to try stenciling on this gas can. 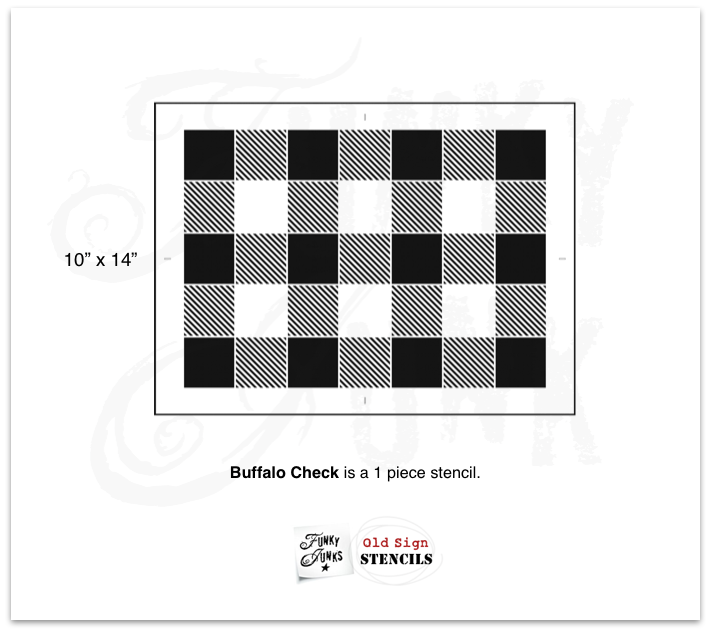 I once again pulled out my *Old Sign Stencils Buffalo Check Stencil, Ceramcoat Acrylic Paint in Light Ivory , and Dreamweaver Stencil Brush Set . The gas can was a perfect size for the medium stencil. I taped it to the front of the can with 3M Blue Painters Tape , pounced on the light ivory stencil and then flipped the gas can over to do the other side. There was no overlap of the stencil design. I washed the gas can down but did NOT sand or prime the rust. This is a junk garden item. Imperfection and rust is okay. I did sand the finished stencil just a bit with a 220 grit sand paper. The gas can's stencil was protected with at least four coats of Krylon Clear Satin Finish . 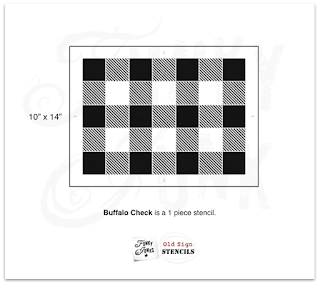 This can be reapplied every season or more to protect the stencil. Now lets' put together a vignette! I will be using this fun stool that I picked up at a rummage sale this morning. Lots of paint drips! I will also be using an old window screen. I pounded in a nail at the top of the screen to hang a metal white star. Next I set the red stool next to the window screen and placed my "buffalo checked" gas can on top. 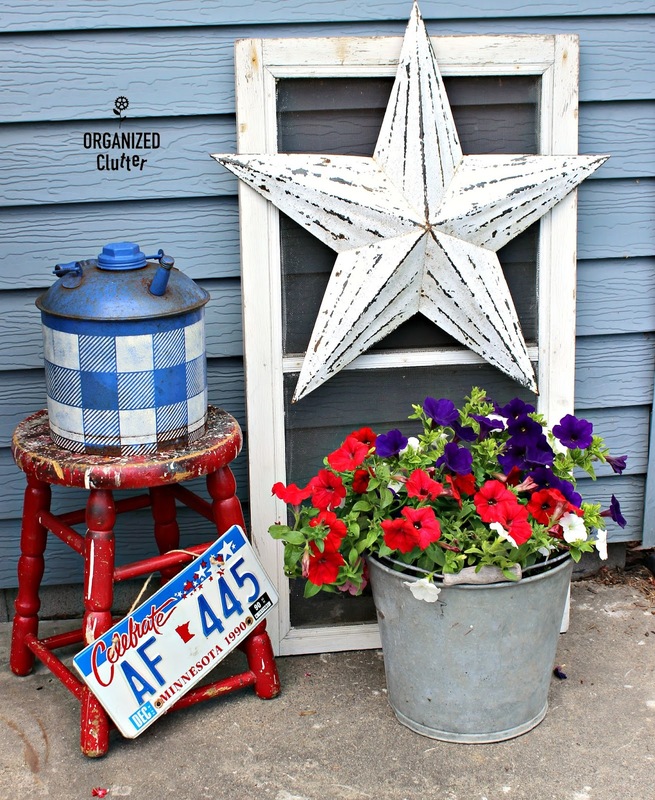 A patriotic style Minnesota license plate was tied on to the stool brace. 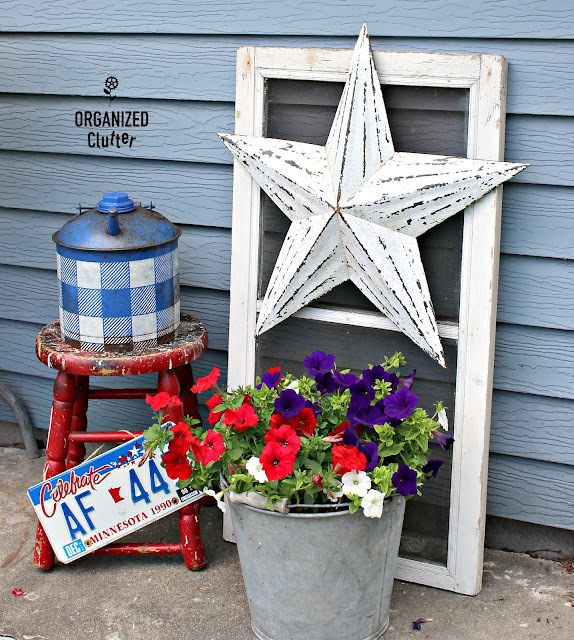 To finish out my patriotic vignette, I added a galvanized bucket of red,white and blue (purple) petunias. The plastic hanging basket, that I stuck inside the pail, was $5 this morning at Kmart! It was in pretty good shape too. Happy Fourth of July everyone! Be safe!